Humanities Teaching in Medical Schools | Craig M. Klugman, Ph.D. Although the AAMC requires annual reporting of medical humanities teaching, most literature is based on single-school case reports and studies using information reported on schools’ websites. This study sought to discover what medical humanities is offered in North American allopathic and osteopathic undergraduate medical schools. An 18-question, semistructured survey was distributed to all 146 (as of June 2016) member schools of the American Association of Medical Colleges and the American Association of Colleges of Osteopathic Medicine. The survey sought information on required and elective humanities content, hours of humanities instruction, types of disciplines, participation rates, and humanities administrative structure. The survey was completed by 134 schools (145 AAMC; 31 AACOM). 70.8% of schools offered required and 80.6% offered electives in humanities. Global health and writing were the most common disciplines. Schools required 43.9 mean (MD 45.4; DO 37.1) and 30 (MD 29; DO 37.5) median hours in humanities. In the first two years, most humanities are integrated into other course work; most electives are offered as stand-alone classes. 50.0% of schools report only 0-25% of students participating in humanities electives. Presence of a certificate, concentration or arts journal increased likelihood of humanities content but decreased mean hours. Schools with a medical humanities MA had a higher number of required humanities hours. 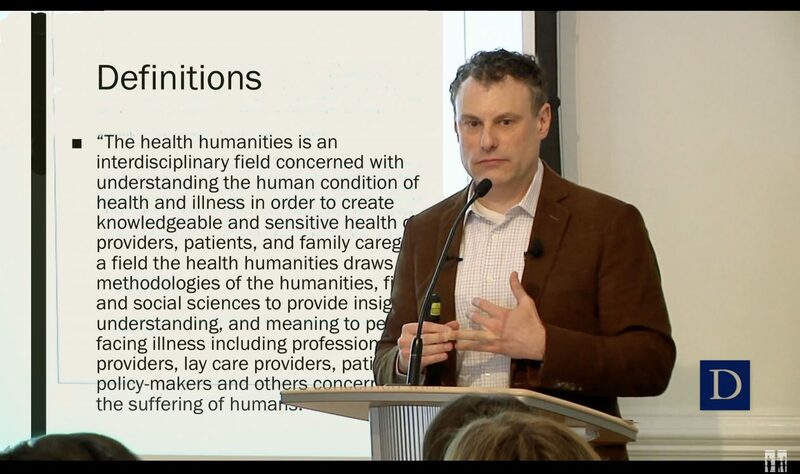 Medical humanities content in undergraduate curriculum is lower than is indicated in the AAMC annual report. Schools with a formal structure have a greater humanities presence in the curriculum and are taken by more students.